We charge flat rates and guarantee that you will love our work! Will the same team be cleaning my house each time? If you choose a recurring service with us, we will do our best to send the same team for each cleaning. In this case they will know your priorities and will provide an even more efficient job. Do you bring your own supplies or will I need to provide them? Our maids will bring their own supplies, including a vacuum, a cleaner for stainless steel appliances, granite countertops, glass cooktop. If you need other special tools for your house, please let us know in the booking form. We charge flat rate based on the number of bedrooms in your home. Just select the number during booking and price will be indicated. Or you may check our “Prices” section. Do you use green products for cleaning? Yes! Please indicate this when filling the booking form and we will be happy to use your preferred products. Is it safe to book with your website? Do I need to be home for cleaning? It’s not necessary, just leave a key for us and let us know how to access your home. We will clean and lock the door after ourselves. We always do background check during the hiring process and take only qualified workers. Keeping your home clean is the key to living a good home life, but often, your busy life gets in the way. Rocket Maids is a professional cleaning company servicing Los Angeles, Glendale and Santa Monica that specializes in delivering the best home cleaning services in the area. At Rocket Maids, our number one goal is customer satisfaction. As a family owned and operated company, we know the value in keeping a clean space for your loved ones to enjoy. Our services are provided to allow for minimal disturbance, treating your home like it was our home. We have an easy online booking system to provide you with the most convenient and reliable service in town. Rocket Maids is a maid cleaning service that guarantees satisfaction every time. With efficient, robust service, we offer qualified maids at a competitive price for all your cleaning needs. From general cleaning to specialized services such as deep and move-out cleaning, all you have to do is sit back and enjoy your clean home. At Rocket Maids, we can work around your busy life to bring you the clean, beautiful home you are longing for. Use our simple online booking system to schedule your appointment today! We know that your time is precious, and that is why Rocket Maids is committed to providing you with the most efficient apartment and residential cleaning services in California. We work differently from other cleaning companies by providing you with as many maids as necessary to have your house cleaning services performed in the shortest time possible. Our goal is to provide you with the respect for privacy and minimal disturbances while we work, while performing our services at the highest standard for comfortable living. 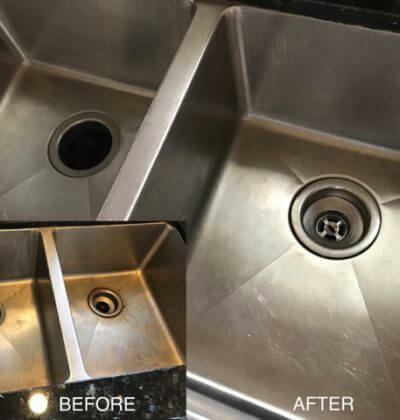 Though our standards are high, yours might be higher 🙂 Just let us know if you’re not satisfied with our service and we will re-clean it for free! Also we send a survey after initial visit, so please let us know if you would like to improve something. We are always ready for your suggestions! We love to do everything on time and quickly, that’s why we are Rocket Maids! Unlike big companies, we co-ordinate everything by ourselves as your satisfaction is very important. We will also send you a text before the appointment so you will be reminded and not lost in this overwhelming world. Just sit back, relax and our rocket team will take care of the dust!